REUTERS/Charles PlatiauIMF managing director Christine Lagarde. 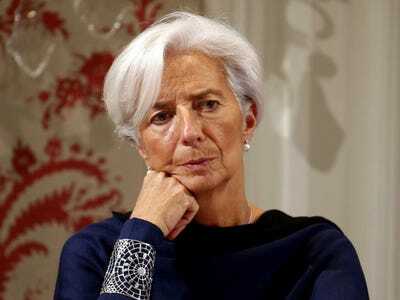 The International Monetary Fund (IMF) has again become mired in controversy over its economic advice. Earlier this year the Fund admitted that it had “got it wrong” in its warnings to the UK government over its budget plans. If that wasn’t bad enough, it may now face a similar embarrassment in Japan having given the country what now looks to be some very bad advice: raising sales tax while trying to pull its economy out of its decades-long stagnation. 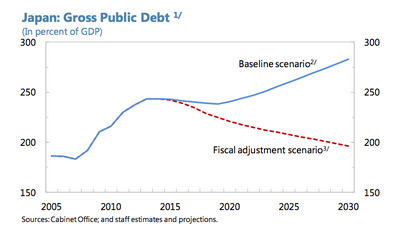 The Fund was responding to concerns surrounding Japan’s rising government debt burden. 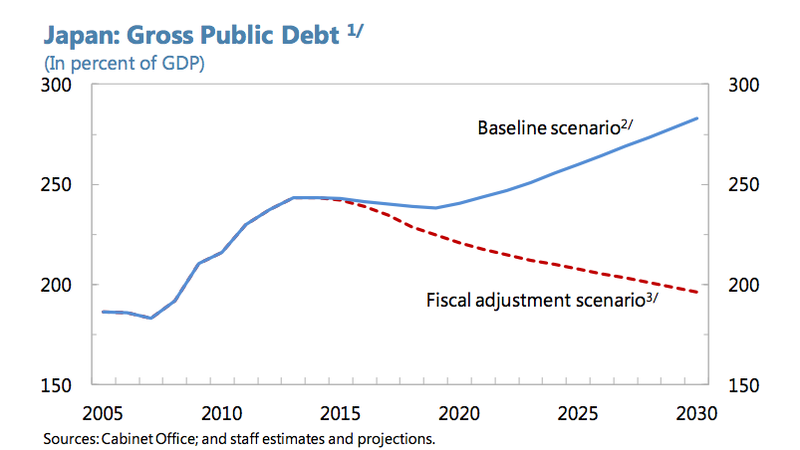 Under its baseline scenario public debt is set to increase to over 275% of GDP by 2030 without significant steps taken to address the problem. However, despite these concerns Prime Minister Shinzo Abe has announced plans to indefinitely delay the second sales tax increase, which was scheduled to take place next October. This comes after the country fell into a recession in the third quarter after it posted its second consecutive quarterly fall in output. Japanese GDP fell by 0.4% in the third quarter following a 1.8% contraction in Q2, mainly due to a collapse in consumer spending. Many analysts blame the falls in household spending on the consumption tax increase, while an expected pick-up in wages also failed to materialise (in fact, real wages have been falling dropping a further 2.9% in September compared to a year earlier mostly due to the impact of the sales tax hike on prices). In its report, the IMF advocate a scenario where the authorities would commit to “increasing the consumption tax to at least 15%” post 2015. This now seems almost wholly implausible without a marked improvement in wage growth. growth compared with other taxes” has proven overoptimistic and that its suggested remedy for Japan’s debt problems has in reality set the country’s recovery back. It may already be past time for another mea culpa.